Looking for that one of a kind Rod well here it is. 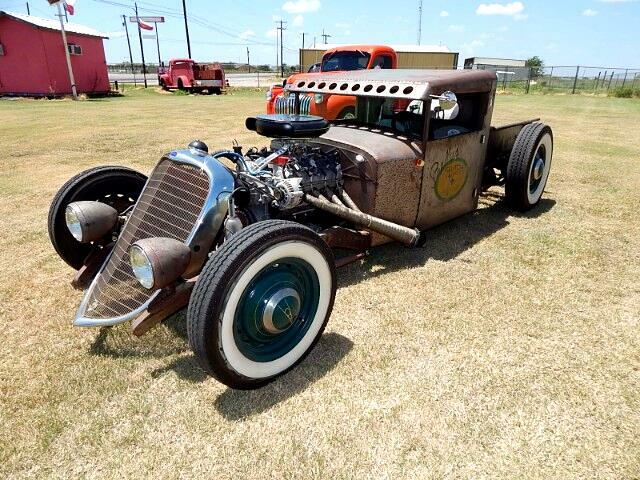 Lone Star Muscle Cars is proud to present this one of a kind professionally built Rat Rod. As you know the cool thing about these cars it is one of a kind creation from the frame to all the specialized welding and 1000's of hours of manpower to bring this car to life. Powered by a Late model LS Motor with an automatic transmission and a corvette rear end with four wheel disc brakes and so much more. These cars are rolling works of art and this one needs to be seen in person. Call For Info.